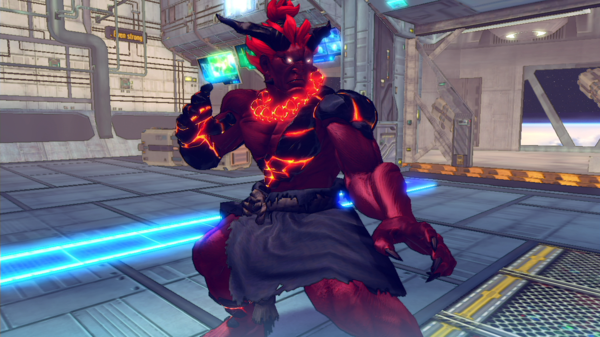 'Ultra Street Fighter IV' costume packs: Capcom announces spooky Halloween-themed Horror Costume Packs! It’s the season for jumps and scares, as Halloween is once more upon everyone! With that, Capcom has brought the season for scares even to the gaming world, as they have announced the release of the new Ultra Street Fighter IV Horror Costumes Pack! As detailed by the Capcom Unity official blog, the Ultra Street Fighter IV Horror Costumes Pack features all-new Halloween themed creepy and frightful looks for all fighters in the game. There are a total of 9 packs available, each consisting of different characters with a different theme of Halloween costume. Each pack contains five character costumes. Each Horror Costume Pack can be bought for a price of $3.99, or 3.99/3.29. Players can also opt to buy the entire roster of Halloween costumes in the Complete Horror Pack at $19.99, or 17.99/14.99. The Ultra Street Fighter IV Halloween Horror Costume Packs are available starting October 27 for the PC, PS4, PS3, and the Xbox 360. As for the upcoming Street Fighter V, game producer Matt Dahlgren talked about Capcom’s new approach in storytelling that will be implemented in the upcoming Street Fighter V. While he did not reveal any specifics, he hinted that they may be adapting methods proven to be effective. Add to that, the game producer then confirmed that they will indeed be taking on a new approach to the story mode for Street Fighter V.
“Our story content is going to be unique and different from any previous Street Fighter game,” he added. Street Fighter V will come to the PS4 and PC early 2016.